If you are looking for an easy to use WordPress theme that gives a professional look to your site instantly, then Spacious will be the perfect choice. 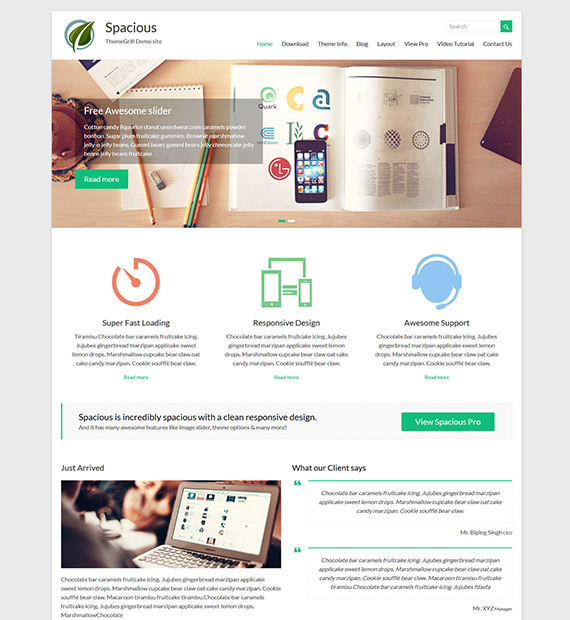 Spacious is a highly customizable multipurpose WordPress theme. Consequently, you can use this theme for any kind of website including portfolio, forum, landing pages or any business sites. Spacious is packed with galore of powerful and exciting features to accompany its stunning design.Thus, it is utterly powerful yet very easy to use.